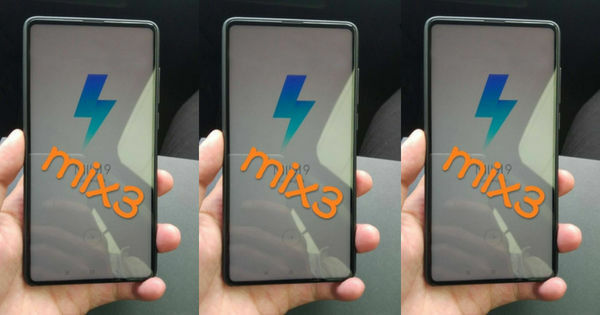 Xiaomi’s upcoming Mi Mix series smartphone, allegedly called the Mi Mix 3, has been the subject of a number of leaks and reports lately. We have already seen some purported hands-on images and renders of the handset. Most recently, a leaked teaser suggested that the Xiaomi Mi Mix 3 could sport a pop-up selfie camera and will be launched in September. Now, yet another purported live image of the phone has surfaced on the interwebs. 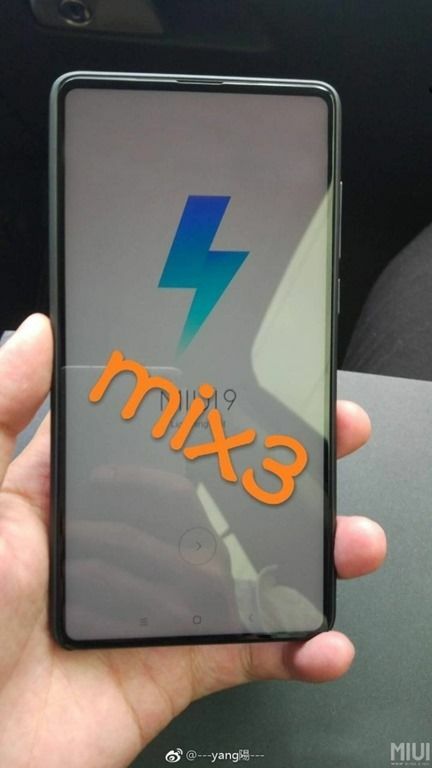 The latest live image of the Xiaomi Mi Mix 3 has appeared on Chinese social networking website Weibo. In the image, we can see an all display design with no notch and chin on the front. However, one interesting development comes in form of the software that is seen running on the alleged Mi Mix 3. The handset can is seen with the initial setup screen on the display and we can spot the MIUI 9. However, the brand has already announced the MIUI 10 at its Annual Product launch event and we can expect the Mi Mix 3 to come with the same. But since this is likely to be an early prototype of the handset, we can give it the benefit of doubt. Coming to the rumoured specs of the handset, it is expected to come with a very high screen-to-body ratio. At its core, the smartphone is expected to be driven by the high-end Snapdragon 845 chipset. Moreover, we have also seen dual camera modules on the rear panel in several leaks, however, details of the same are not known at this point. Another leaked render of the smartphone suggested that it might come with an under-display fingerprint scanner. However, we will suggest taking this information with a hint of scepticism at this point. While the leaked teaser of the smartphone hinted at a September launch, it didn’t reveal the launch date. We will bring you more details as and when they turn up, so stay tuned.